Modern age is the age of technology and everybody is having featured phones and laptops in hands just for fun and also to do job related tasks! We always need a flat surface to operate a laptop without any inconvenience! 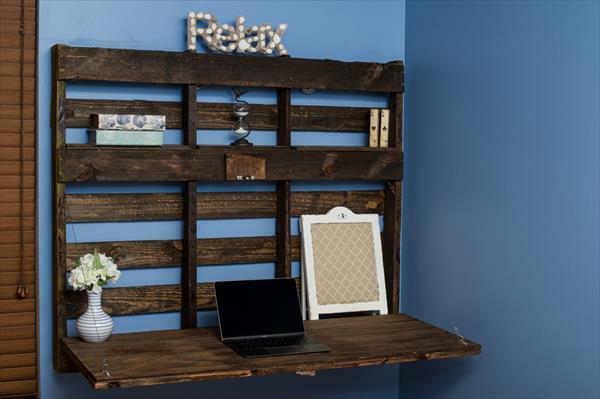 While being in home you simple make this DIY pallet folding wall desk / pallet shelf fold out to operate you laptop! This whole fab setting has been done using rustic pallet skids and a folding desk layout has been installed using metal chains! A proper size of metal chain has been selected and has been engineered so well that desk will always remain in flat while being in unfold position! 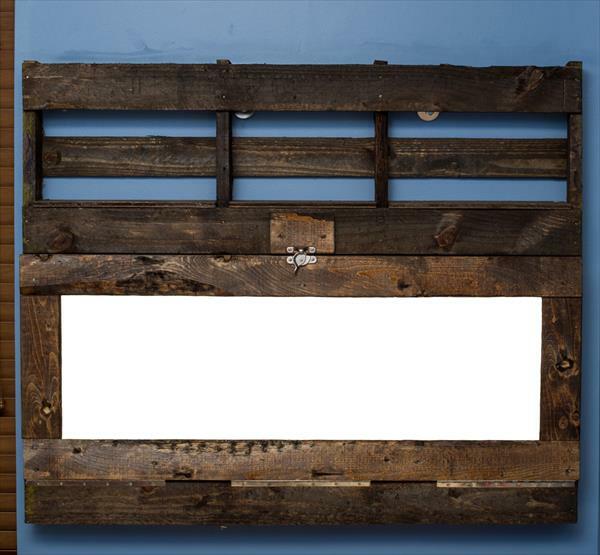 The empty spacing in pallet boards have been gained into a mini holdings and shelving levels where you can hang or display some of your relevant items! This pallet furniture tells that all you need a one pallet boards to setup a home computer desk and study desk which would be space-saving too at the same time!